Suicideyear - Color The Weather. Vinyl LP, CD. LuckyMe. Coming from deep within the city that brought us Master P’s legendary No Limit Dynasty and Lil Boosie comes an artist who uniquely encapsulates the crossing point between lowslung Hip Hop and forward thinking, emotive electronic music. 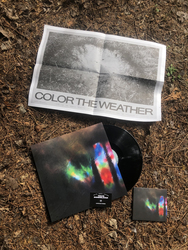 22-year-old New Orlean’s based Suicideyear AKA James Prudhomme brings his own Southern Gothic perspective to the table with new album ‘Color The Weather’ featuring Georgia (Domino) and Casey MQ.